R2FACT Product Development does NOT offer Intellectual Property (IP) services. However, we do maintain relationships with IP attorneys who can help you make the right decisions about patent searches and patentability investigations as well as write provisional and non-provisional applications. IP services can be important in safeguarding your investment in product development. 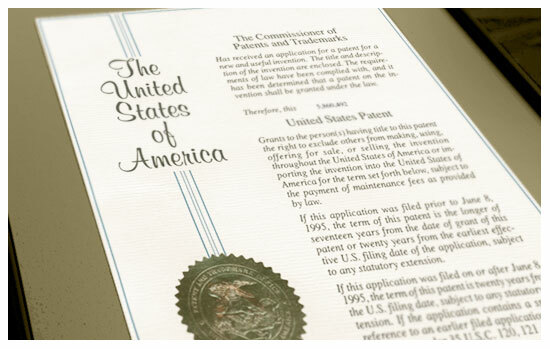 The last thing you want after putting a product on the market is to be hit by a patent infringement suit. Get started by doing your own online search using Google patents and the website of the United States Patent and Trademark Office (USPTO). An attorney can do more comprehensive searches based on product classification and prior art analysis. Applying for your own patent to prevent others from copying your idea is another step you can take. An IP attorney can advise you about the costs and benefits. Referring you to the right legal experts at the right time is just part of what we at R2FACT do to help develop your original idea from design through manufacturing.